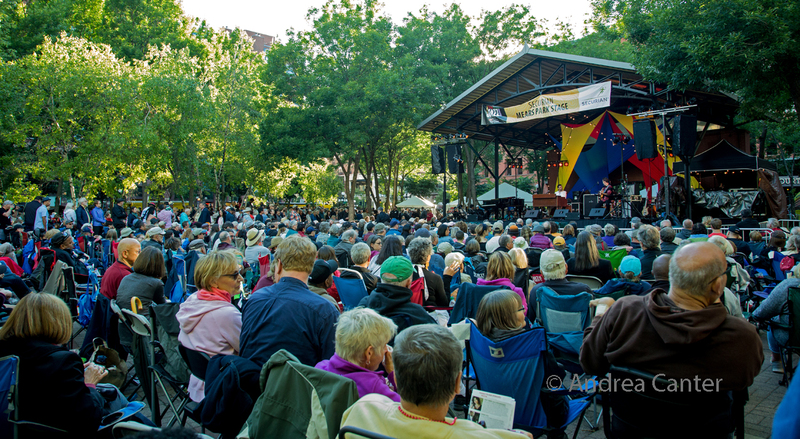 It’s (finally) the merry month of May and what a merry month of jazz we have in the Twin Cities! Corky Siegel returns after just a few weeks, this time at the Dakota with harmonica wizard Howard Levy; more high flyers at the Dakota this month include Keiko Matsui, Arturo Sandoval, Terence Blanchard, and Nellie McKay; the Dunsmore Room welcomes guitarist Jonathan Kreisberg, Lynne Arriale, and legend Freddy Cole; John Raymond’s Real Feels returns to Vieux Carre’; Billy Martin lands at the Icehouse; Jason Moran and Vijay Iyer perform at the Walker. 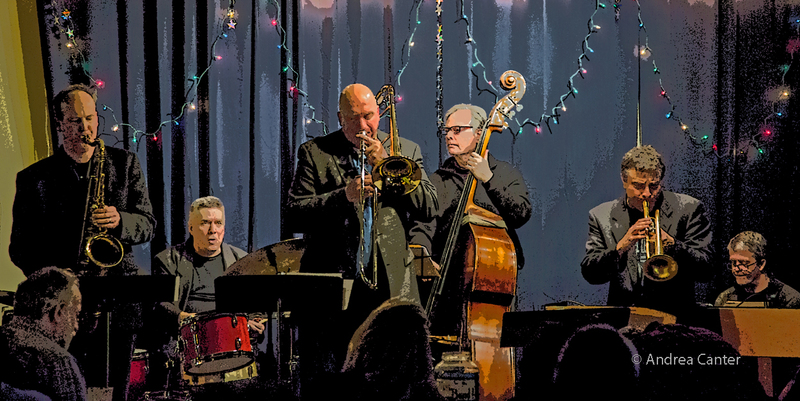 Our local musicians have an active spring as well — with a long-awaited return of the Dean Sorenson Sextet, Zacc Harris’ American Reverie, the Atlantis Quartet, Maud Hixson in the Dunsmore Room, and more projects from Dean Granros, Dave Hagedorn, JC Sanford…. and the beat goes on. My beat, however, ends with this post, at least as a regular contributor and Senior Editor of Jazz Police. After 14 years, it is time for new blood and for me to put my time elsewhere. (See previous post re “retirement”at http://jazzpolice.com/archives/6941). I have a new title as Senior Editor Emeritus, which means I will post a review or whatever from time to time, continue to contribute photos, etc. What about the Lead Sheet? This is the last Lead Sheet, as such. Stay tuned for news about a new direction at Jazz Police for keeping the jazz audience informed about what’s coming up on the local scene. 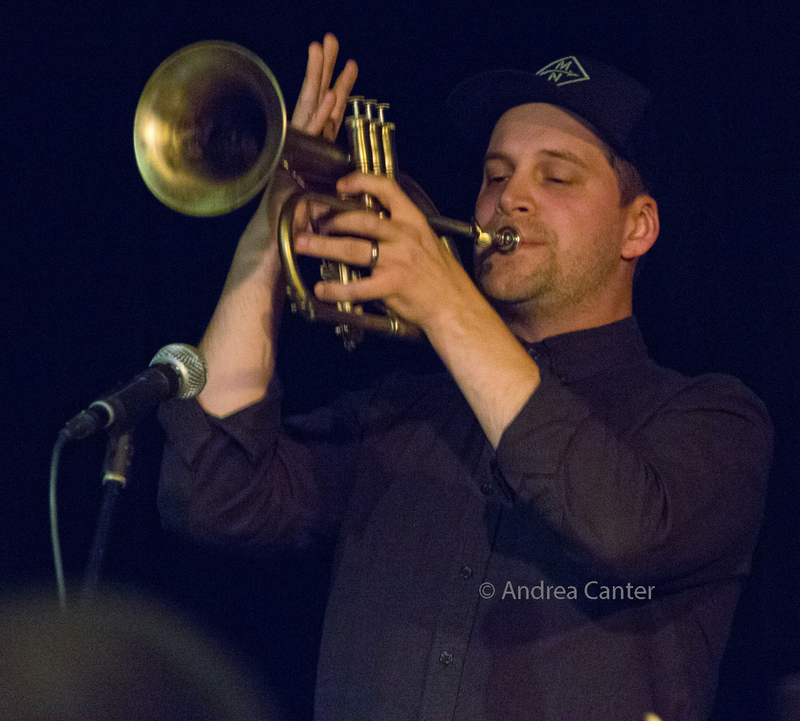 And a big welcome and thank-you to local trumpeter, bandleader, composer, educator Adam Meckler who has already started postings of CD reviews and artist interviews. Like our fearless administrator Steve Kenny, Adam seems to get 26 hours out of every day. Note: This Lead Sheet covers the full month of May, such as schedules are known at the moment. Certainly a lot more gigs will be booked over the month, so keep your eye on favorite venue and artist calendars. 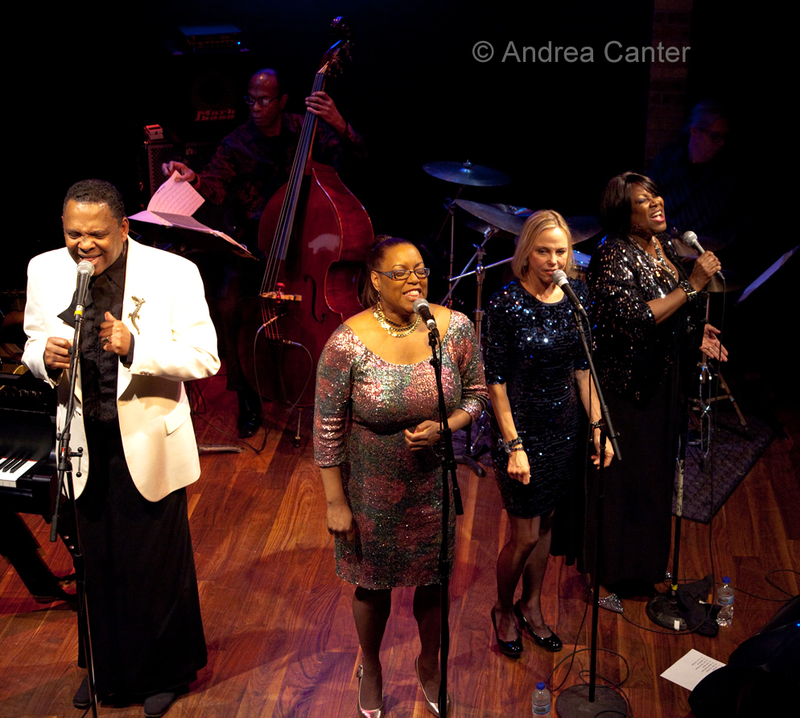 The highlights here are just a sampling of the jazz around the metro this month. Wednesday, May 2. An active pianist and composer on the Iowa jazz scene til he left to pursue more studies at the Manhattan School of Music, Jon Snell is currently touring with an ensemble that launched in 2011 while he and fellow musicians were students at the University of Northern Iowa, under the direction of professor Bob Washut. 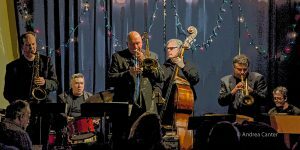 The “Commons Collective” performs tonight at Jazz Central. Friday, May 4. A couple years ago, Dean Sorenson put together a band of star veterans for some gigs and a recording session. The sextet is back in action on the Illicit Jazz Workshop series at Jazz Central. Joining trombonist Dean are Dave Milne on saxes, Steve Kenny on trumpet, Chris Lomheim on piano, Tom Lewis on bass and Phil Hey on drums. Saturday, May 5. 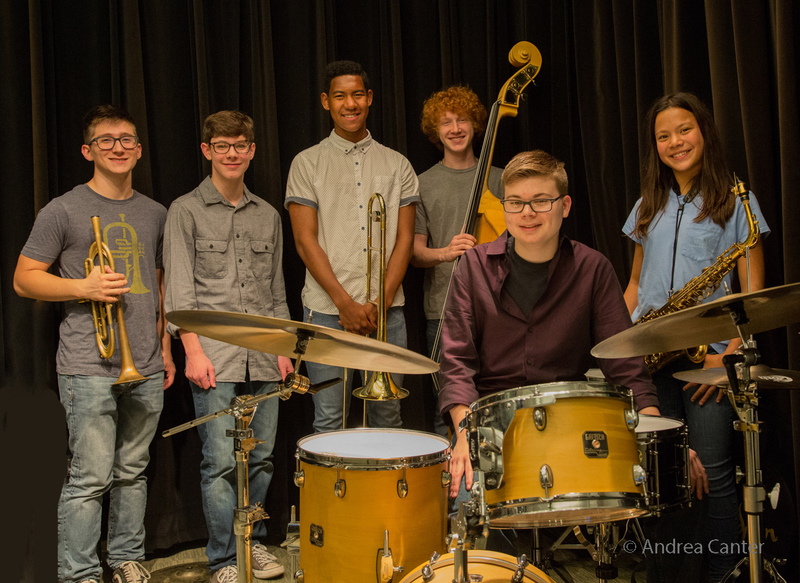 This is the 12th edition of the Dakota Combo, the Twin Cities area all-star high school jazz ensemble directed by Adam Linz via MacPhail, with funding through the Dakota Foundation for Jazz Education. 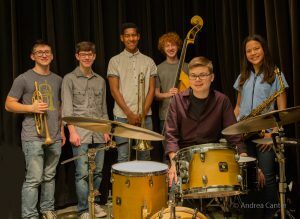 Held this year at Jazz Central, this annual spring performance allows each member of the sextet to shine, along with emphasis on ensemble collaboration. Students this year are in grades 9-12 with only two seniors. It’s quite a crop of young jazzers! Note 3 pm start. Tuesday, May 8. Some years back I (favorably) reviewed a CD by a guitarist named Jonathan Kreisberg. He’s since toured with Dr Lonnie Smith and built a firm reputation as a performer and composer. I believe this will be his Twin Cities debut when he takes over the Dunsmore Room. Quartet with Brandon Wozniak, Zacc Harris, Chris Bates, and again, Pete Hennig on drums. 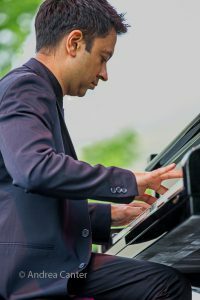 At Boom Island Brewing, Jesse Simon hosts a Bill Evans night featuring Phil Aaron in the driver’s seat. Monday, May 14. A special night at the Black Dog features two home-for-the-summer young lions (Will Schmid on guitar, Tyler Wagner on bass) with one of our most active veterans on drums–Jay Epstein, simply dubbed Schmid/Wagner/Epstein. Monday, May 14. 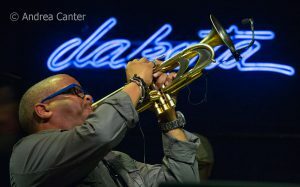 One of the most popular jazz musicians on the scene today, trumpter Arturo Sandoval brings Latin fire to the stage at the Dakota. Tuesday, May 15. 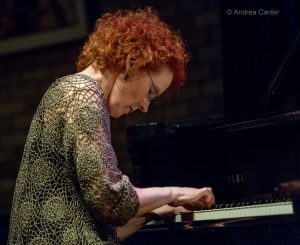 Earlier in her career, pianist Lynne Arriale was singularly devoted to the piano trio format, and built her reputation as one of the top piano trio leaders of her generation. She has since worked in quartets as well as recording solo and touring with vocalists, but the piano trio seems to be her destiny. Her Dunsmore Room debut will be supported by local standouts Chris Bates on bass and Cory Healey on drums as they help Lynne celebrate a new trio recording, Give Us These Days, arguably her most potent release yet. Tuesday-Wednesday, May 15-16. Terence Blanchard and his E Collective return to the Dakota while touring to support their latest release, Live! The music was recorded last year while touring cities recently impacted by police shootings, including Minneapolis. Wednesday, May 16. 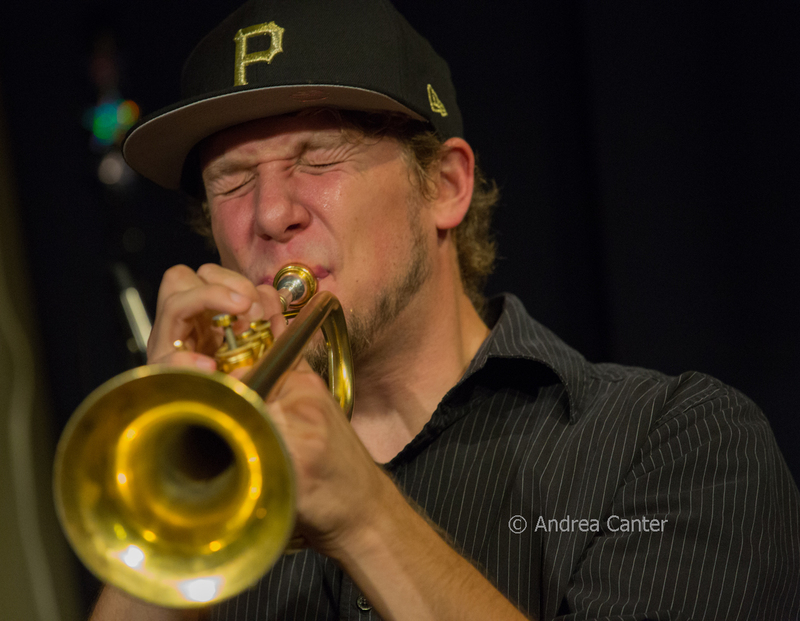 Since moving to Indiana from New York less than a year ago, Hopkins, MN native trumpet/flugelhorn master John Raymond has returned home more often. Now he’s back again with his touring group Real Feels (Gilad Hekselman on guitar, Colin Stranahan on drums), at Vieux Carre’. 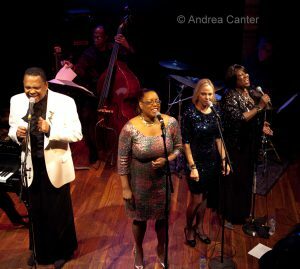 Expect clever arrangements as well as stunning original compositions from three of their generation’s most potent artists. Friday, May 18. Although in town with his Bandwagon trio just one night, pianist Jason Moran was just here for the opening of his multi-media art exhibition at the Walker Art Center. 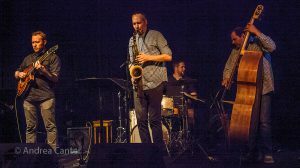 The exhibit goes on into August but you can only catch Bandwagon (with Tarus Mateen on bass and Nasheet Waits on drums) tonight in the McGuire Theater at The Walker. Saturday-Sunday, May 19-20. At 87, you might expect pianist/singer Freddy Cole to settle back and enjoy the royalties. Hardly. Freddy has long outlived his brother Nat, and he just keeps going including international touring. 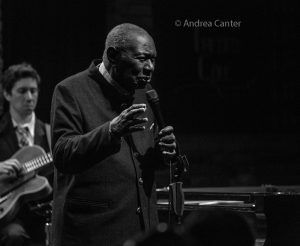 This weekend enjoy the intimate pleasures of Freddy in the Dunsmore Room over two nights with his long-standing quartet of Randy Napoleon (guitar), Elias Bailey (bass), and Quentin Baxter (drums). Freddy of course will handle that Steinway. Tuesday, May 22. “What Would Doris Do?” Vocalist Maud Hixson answers that question in her Doris Day revue with pianist Rick Carlson in the Dunsmore Room. As with any Maud Hixson production, you can expect elegant delivery, perfect intonation, warm collaboration, and interesting background about the music and Doris herself. Saturday, May 26. Another gem of a double header tonight at the Black Dog. 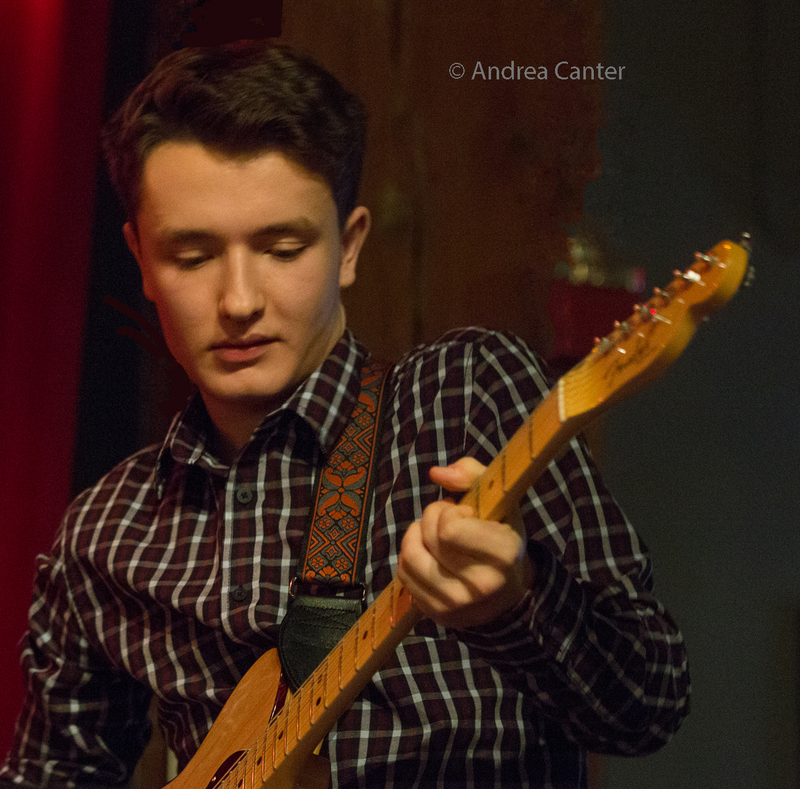 First up, some really young, really masterful musicians form the Bruce Acosta Quartet. Leader Bruce will be about a week shy of his high school graduation and a few months short of his studies at Columbia University, but hold on to your ears as this young guitarist will dazzle you with technique as well as his grasp of the jazz idiom. Joining Bruce will be equally young or younger artists August McKinney (piano), Jon Butler (bass) and Carter Pearson (drums). It’s a tough act to follow but the Inatnas Orchestra is up to the task. Moving the music into the larger dining room, leaders (and spouses) JC Sanford and Asuka Kakitani oversee the music from a 17-piece band that won many new fans at the Black Dog just a couple months ago. 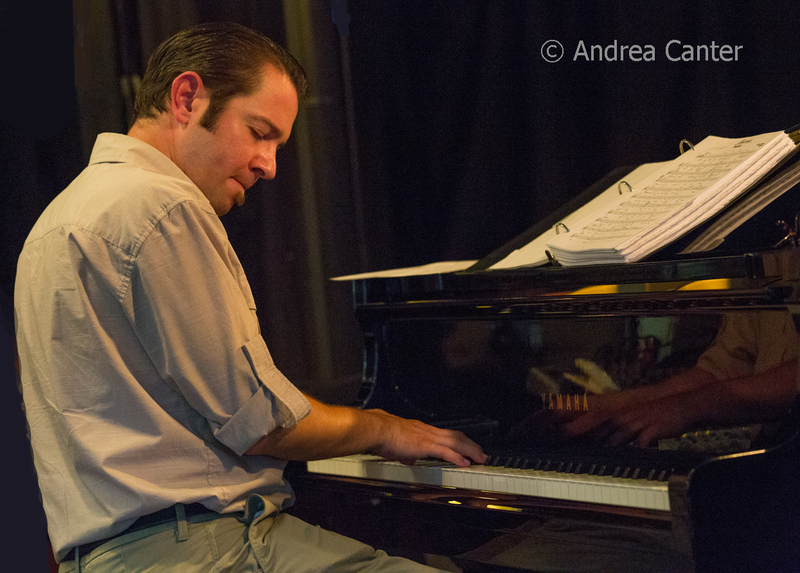 Also tonight: The second Minnesota Hard Bop Collective’s “piano” night at Boom Island Brewing. It’s a real cross generational collaboration tonight with University of Michigan jazz piano student (and local native) Jordan Anderson pairing up with veteran bassist Tom Lewis. Sunday, May 27. Connie Evingson has produced and starred in an impressive series of Jazz at the Jungle shows, primarily highlighting the great songbooks of Ella Fitzgerald but also such legends as Peggy Lee. 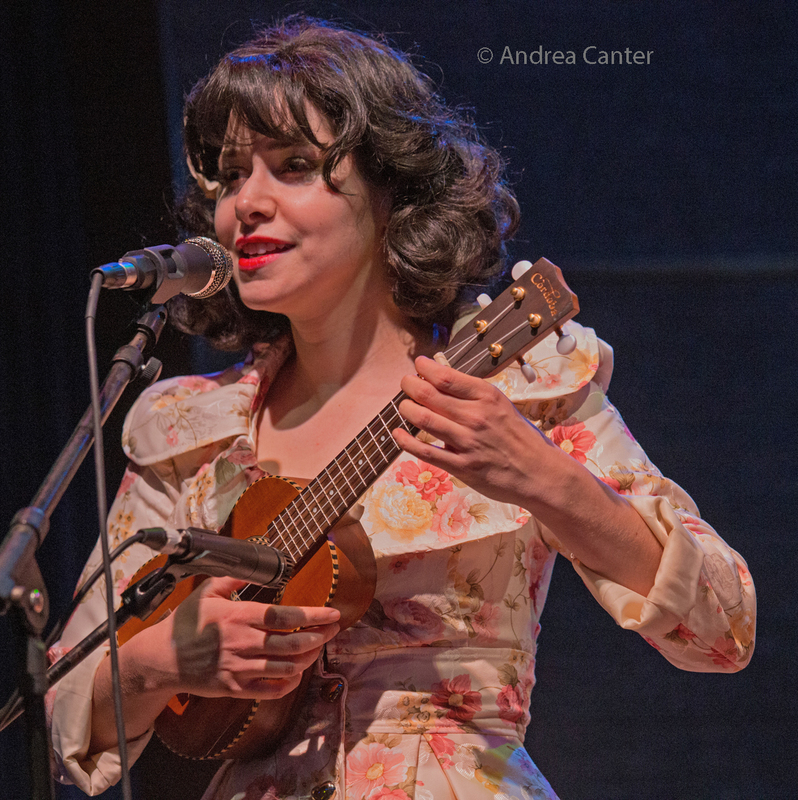 This afternoon (one show only), at the Jungle Theater, Connie reprises her nod to Lee, “Happy With the Blues,” a revue that reflects both sides of Lee, “from playful songs she penned for the Disney movie Lady and the Tramp to the tender ballad “Johnny Guitar” (written for the movie of the same name, starring Joan Crawford) and “Fever,” for which Lee contributed three verses.” She’s joined by Mary Louise Knutson (piano), Gordy Johnson (bass) and Dave Karr (saxophone). Special treat at the Dakota as topnotch vocalist Ginger Commodore welcomes pianist Sanford Moore to join her quartet at the Dakota. Monday, May 28. Youth prevails again as the Will Schmid Quartet performs at Jazz Central. 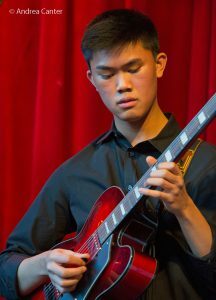 Minnetonka High School alum and guitarist Will studies physics and jazz at Case Western Reserve. Joining him tonight are pianist Patrick Adkins (Lawrence Conservatory), bassist Charlie Lincoln (Berklee College of Music), and drummer Jesse Thorson (2018 graduate of Columbia University). Tuesday, May 29. A double treat — double bass expert Bob Bowman, no stranger to the Twin Cities, joins forces with former resident pianist Tanner Taylor for an evening in the Dunsmore Room. 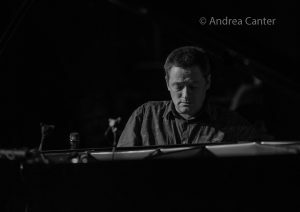 Another Twin Cities connected piano genius, Bill Carrothers, joins Red Planet (Dean Magraw. Chris Bates, Jay Epstein) for some magic at Vieux Carre’. Wednesday, May 30. Capping off a series of gigs, Bill Carrothers goes solo tonight in the Dunsmore Room. 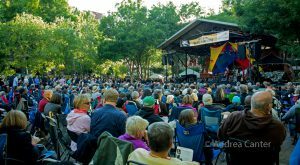 Things heat up steadily as we approach the annual Twin Cities Jazz Festival June 21-23! 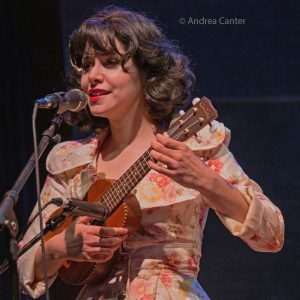 Among many great gigs, listen for Teri Roiger in the Dunsmore Room (June 6); Diana Krall at Ordway (June 12); Brit imports Go-Go Penguin at the Dakota (June 12), a rare appearance by Bobby McFerrin at the Dakota (June 13-16); Broken Shadows (Tim Berne, Reid Anderson, Chris Speed, Dave King) at the Icehouse (June 18); Kenny Garrett at the Dakota (June 19); Jim Rotondi and Dave Hazeltine in the Dunsmore Room (June 19-20); the Harold Mabern-Eric Alexander Quartet at Vieux Carre’ (June 19); Hoaxer in the Dunsmore Room (June 25); Joey DeFrancesco in the expanded Crooners Lounge (June 26); Sheila Jordan and Cameron Brown in the Dunsmore Room (June 27); and of course the Twin Cities Jazz Festival, with gigs in clubs on June 21 and the full festival June 22-23 around Mears Park, with headliners Dee Dee Bridgewater, Houston Person with the Emmet Cohen Trio, Tia Fuller, Nancy Harms, Jazz Women All-Stars, and more. 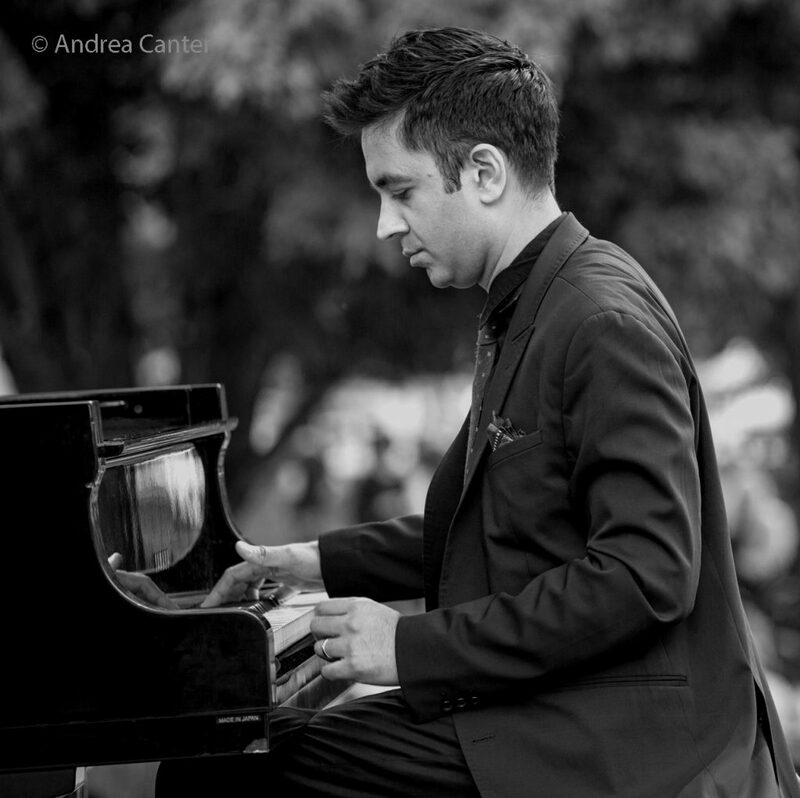 Looking beyond June — Steve Kenny returns with the All Originals Jazz Series starting July 12; Moore by Four makes a rare appearance, with two nights in the Dunsmore Room (July 13-14); John Pizzarelli returns to the Dakota on July 24.